Surprise! I'm back already with another card. 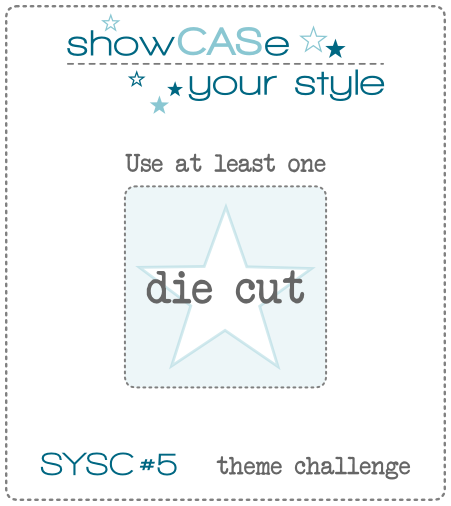 It's another entry for ShowCASe Your Style #5 Challenge, using at least 1 die cut. Well, if you know me...you know I had to use more than one. I love using dies! As you can see, I used 5 colors of card stock. Then stamped inside each die cut with a different ink color. I brushed over each image with some clear Wink of Stella, which you might be able to see if you click on the closeup photo. I also added some to the yellow heart. This card is not making me smile (as the one in my previous post die - click HERE to see it). Something about it just isn't quite right. Oh well. Anyway, thanks for taking the time to stop by! Love your card! It is so striking cute!